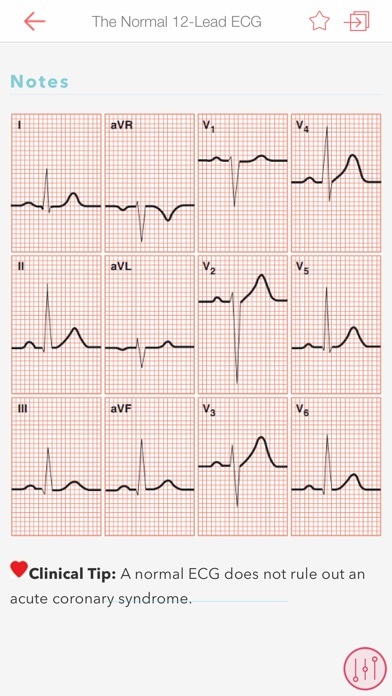 ECG Notes: Interpretation and Management Guide. 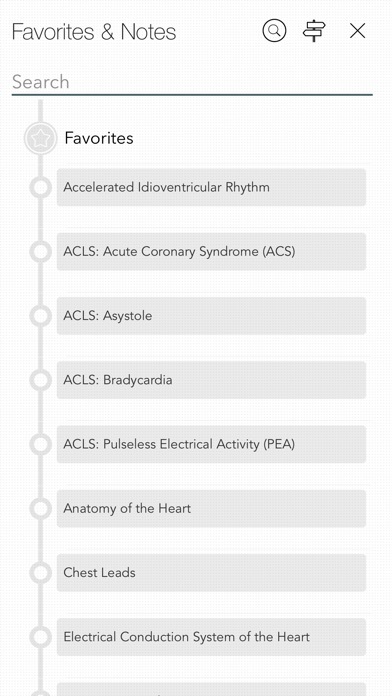 The indispensable pocket guide presents the basics ACLS and CPR algorithms, emergency medications, and comprehensive information on monitoring leads and interpretation of over 100 ECG strips, including 12-lead and pacemaker rhythms. 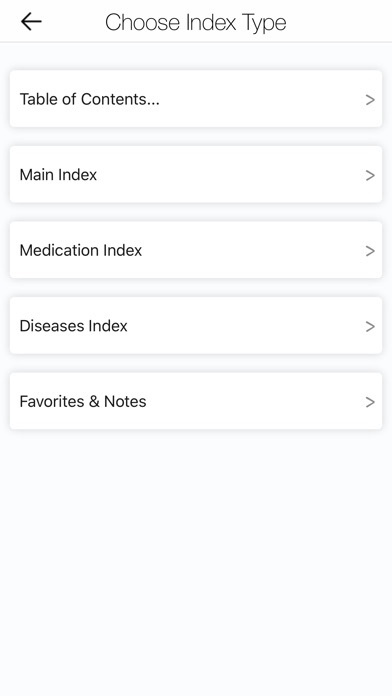 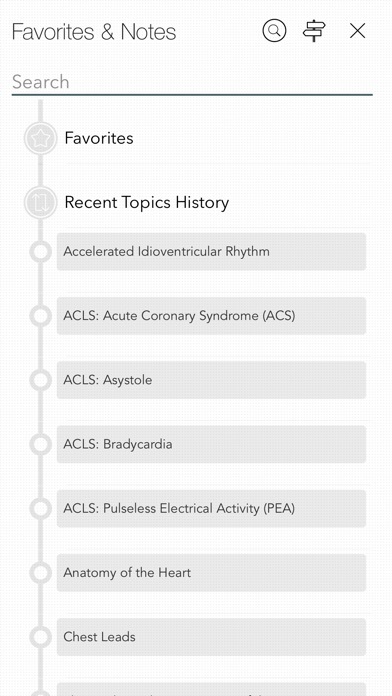 Download the FREE app and view selected topics - Approximately 10% of the content is viewable in the free app and tapping on the locked topic will launch the in-app purchase screen A quick look-up reference for ECG interpretation and management! 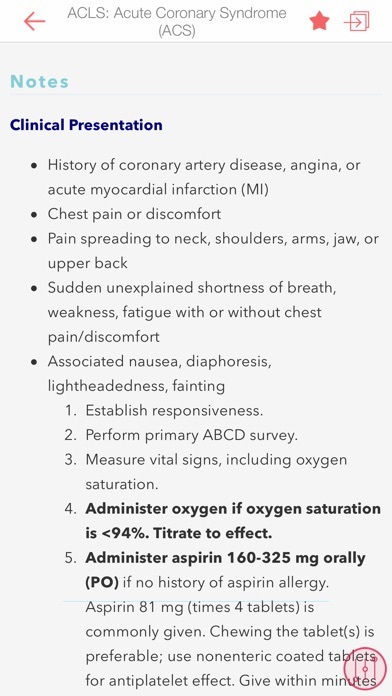 The Third​ Edition includes current AHA guidelines. 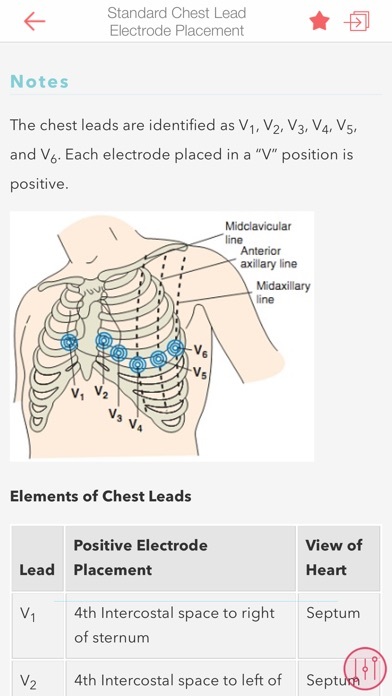 FULL DESCRIPTION: ECG Notes: Interpretation and Management Guide, 3rd Edition is a quick look-up reference for ECG interpretation and management! 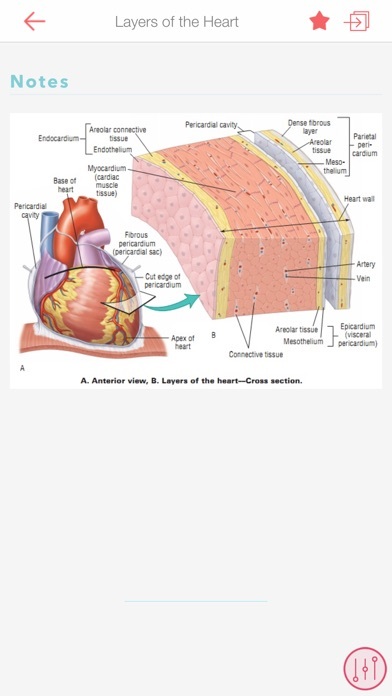 This indispensable pocket guide presents the basics (anatomy and physiology of the cardiovascular system, electrical conduction system of the heart, basic ECG concepts and components,) ACLS and CPR algorithms, emergency medications, and comprehensive information on monitoring leads and interpretation of over 100 ECG strips, including 12-lead and pacemaker rhythms. 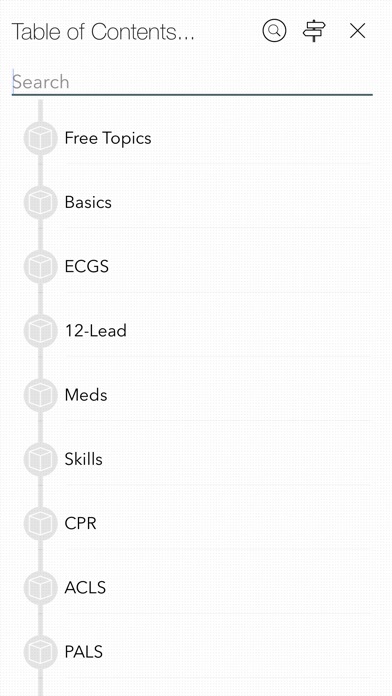 Key Features - Complete coverage—basics, 12-lead, ACLS, PALS, meds, CPR. 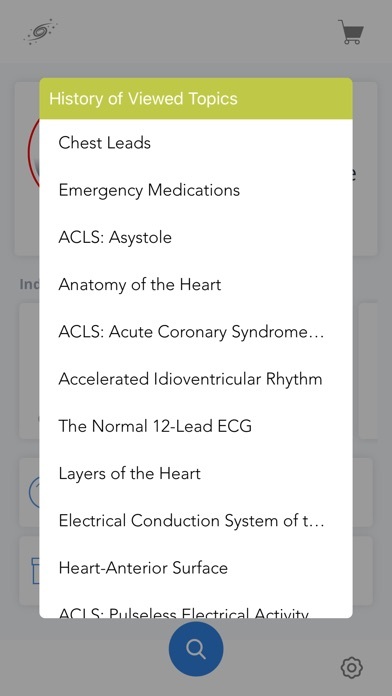 - Compact rhythm analysis guide - CPR algorithms in tabular format - Test Yourself ECG strips - Troubleshooting - Patient ECG Record - Clinical Tips throughout - PALS tab (Pediatric Advanced Life Support) - Peds coverage throughout… - Meds—Doses where applicable - Skills—Defibrillation, automated defibrillation (AED), and cardioversion - Basics—Normal vital signs values New to this Edition - AHA 2010 ACLS guidelines - AHA 2010 PALS guidelines - ACLS 2010 CPR guidelines - Updated therapies and skills - Pediatric Dosing - New anatomy and physiology illustrations of the heart Based on: 3rd Edition Author: Shirley A. Jones MSEd, MHA, MSN, EMT-P, RN Publisher: F.A. 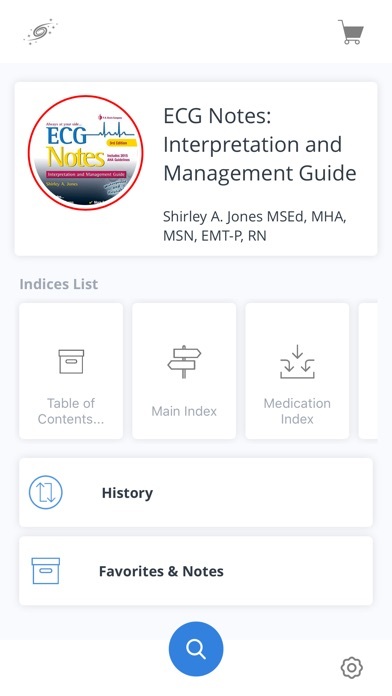 Davis Company ISBN-13: 9780803639300 SPECIAL FEATURES: Locate a disease, symptom or medication in the fastest possible manner: - Use "Spotlight Search" from Home screen - Tap and Hold launch icon to open Last Topic, History, Favorites - Navigate using multiple indices - History to open frequently visited pages - Bookmarks NEVER FORGET ANYTHING: Mark topics with relevant information: - Rich-text notes - Voice memos - Annotations with scribble, doodle or text You choose the method to note this regardless of the context you are in to ensure that the important facts are available whenever you access the topic, whether it is tomorrow or six months from now.